Saara who runs ‘Let Hem Boyle’ writes: This is the recipe that was used by Sayyid Abu al-Hasan and others in Morocco, and they called it isfîriyâ. Meat stews formed part of the diet of many households. 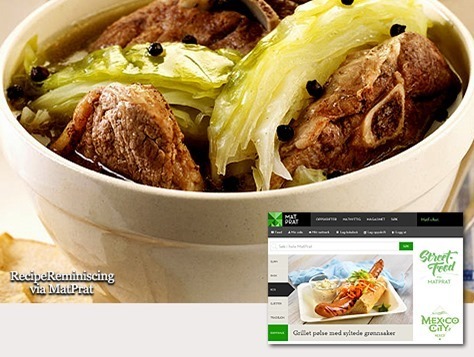 This rich, meaty version reflects an upper class dish, both due to the quantity of meat and the inclusion of mace. Note the French title, reflecting the Norman influence over England. Poorer households would not use any imported spices and would bulk out a small amount of meat with plenty of vegetables and grains. 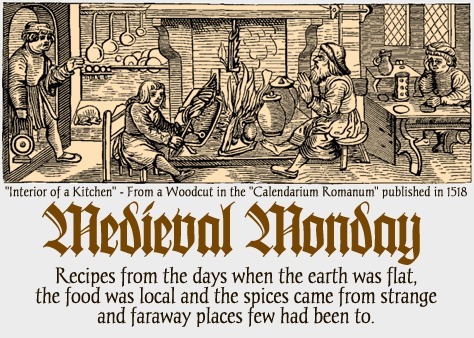 Some people suggest the dish’s original name ‘Hericot de Mouton’ comes from the word halicoter, to cut up. On the other hand, some versions of this dish use a type of turnips called haricot. 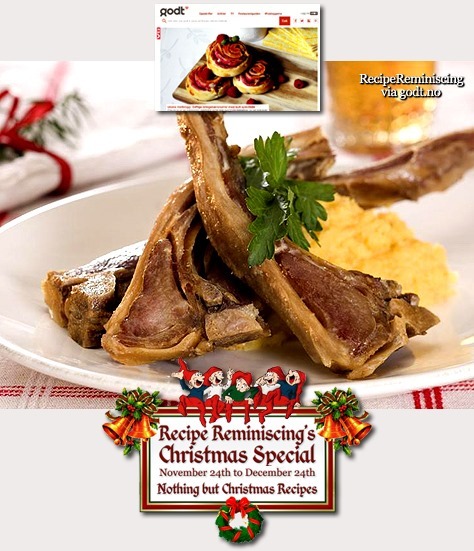 Lamb will not need parboiling but mutton would require parboiling to tenderise the meat. 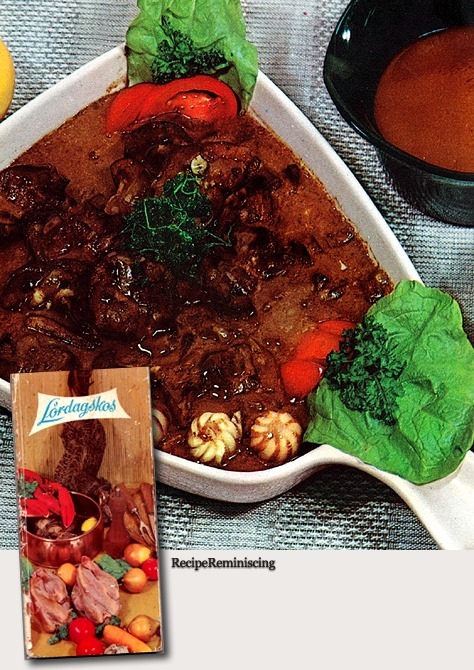 (Culinary Passport) published by Tupperware in 1970. 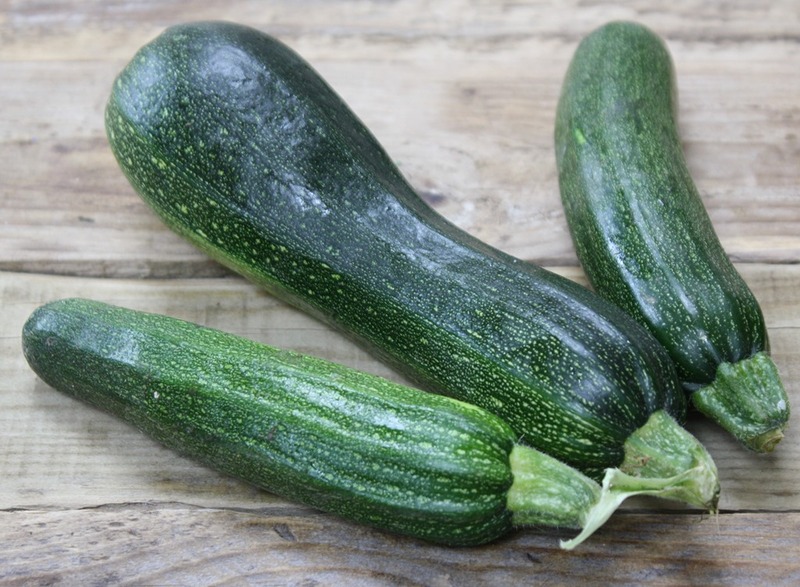 The courgette is a variety of cucurtbit, which means it’s from the same family as cucumber, squash and melon. It is the most popular vegetable of the squash family, being extremely versatile, tender and easy to cook. Just don’t boil them! They have a deep green skin with firm pale flesh and are also known as zucchini. Availability Courgettes are at their best from June until September. Choose the best Choose small courgettes that are firm to touch with a glossy, unblemished skin. 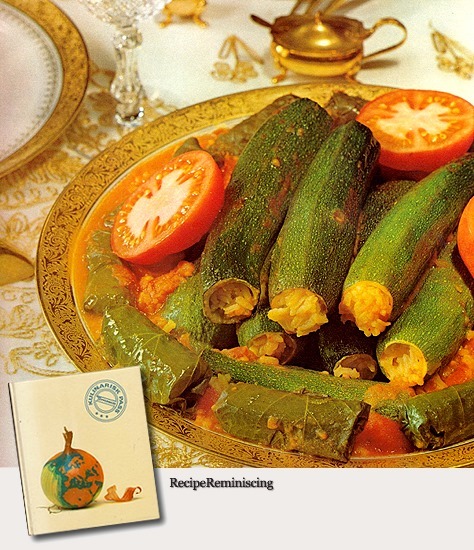 Avoid soft, squishy courgettes. Prepare it Courgettes do not need peeling. Slice off each end and prepare as recipe directs. It’s best not to boil, as they will become mushy and lose their flavour. Instead lightly sauté in butter or oil and a small amount of water. 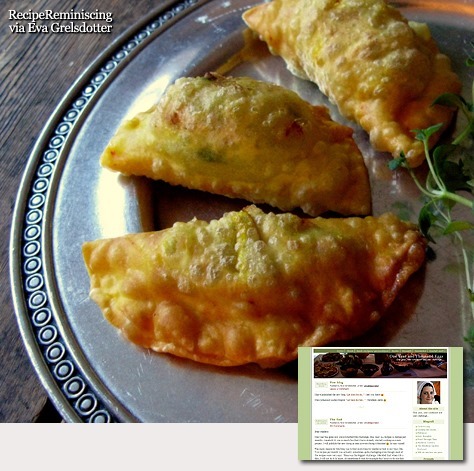 Store it Refrigerate in a vegetable storage bag in the crisper compartment and eat within 2-3 days. Cook it Try courgettes sliced thinly and eaten raw, cooked on a griddle, in a stir fry, or fried in a light batter as chips. Alternatives Try squash or marrow. 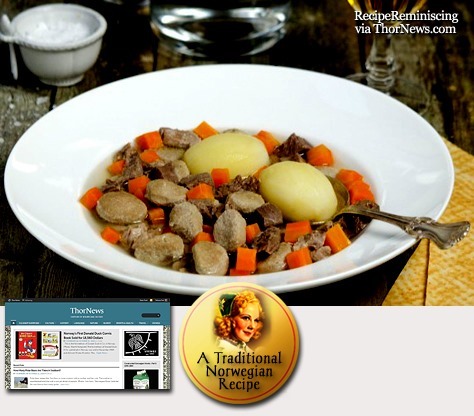 Anette Broteng Christiansen at ThorNews writes: Sodd is a traditional Norwegian soup-like meal with mutton, meatballs, potatoes and carrots. 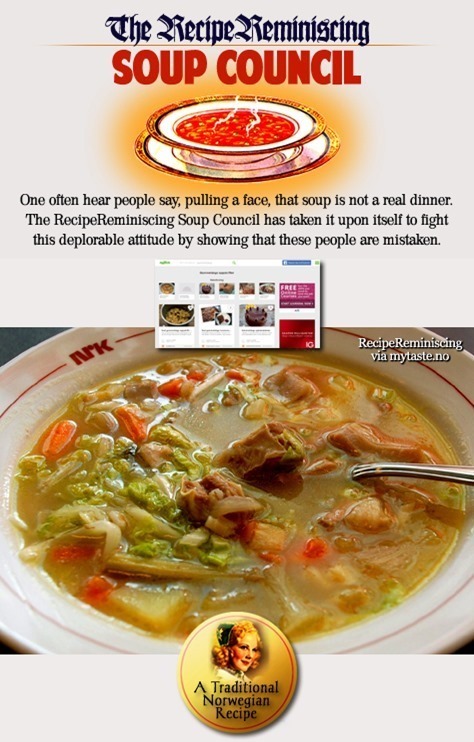 The difference from regular soup is that all the meat and vegetables in the Sodd are boiled separately. 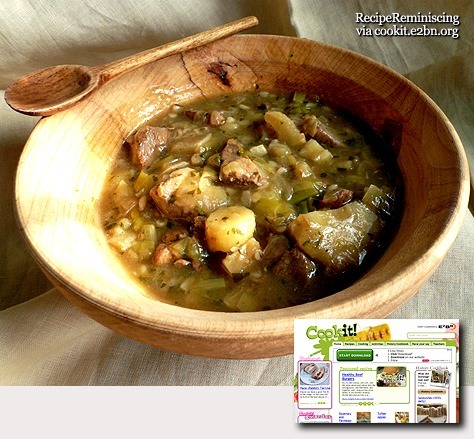 “Sodd” means to seethe and is traditional food from the Trøndelag area in Central Norway. The dish is often served in weddings, confirmation ceremonies or during the Norwegian National Day together with thin flat bread (Flatbrød). 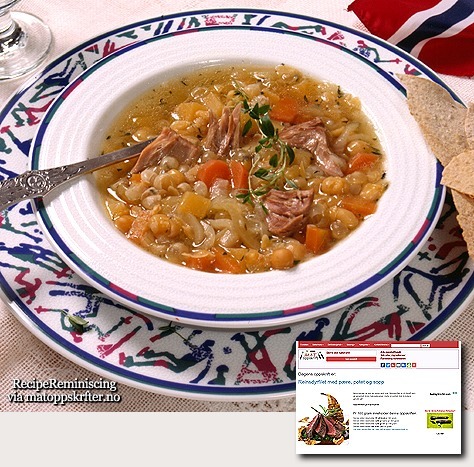 Genuine Sodd from Trøndelag consists of meatballs and dices made ​​of mutton and beef, and broth. 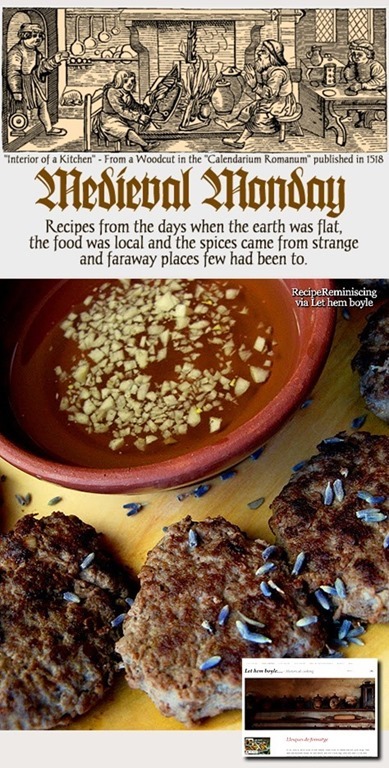 The meatballs are made with potato starch, whole milk, heavy cream, ginger and nutmeg. It is important to ensure that the Sodd is not boiling, but holds high temperature. Sodd was first described in the Saga of Haakon the Good dating back to the 1200s. In the 1800s, it was usually made with horse meat. 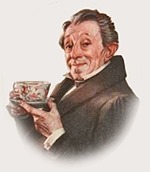 It is common to serve ginger ale, lager, home brewed or alcohol-free beer with Sodd. 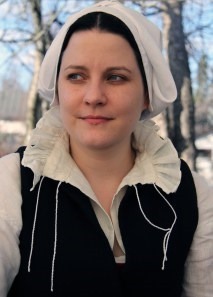 From Eva Grelsdotter’s blogs: I am a re-enactor who have a passion for food history and cooking. In the SCA I am known as Mistress Eva Grelsdotter and I am a member of the Order of the Laurel (elevated at September 2013). At my first SCA event 1998 I found myself in the kitchen. 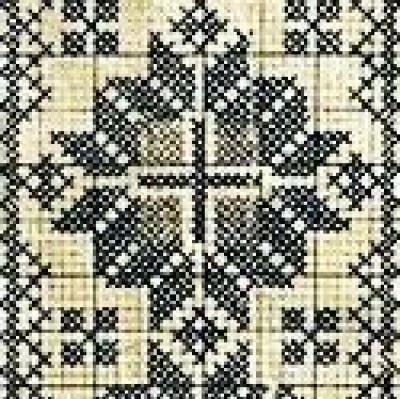 I live in Finland (in the SCA known as Barony of Aarnimetsä). I am also a member of a re-enactment group called Merry Swan. In a real life I am not a professional cook but just an officer of one of Finland’s cities. 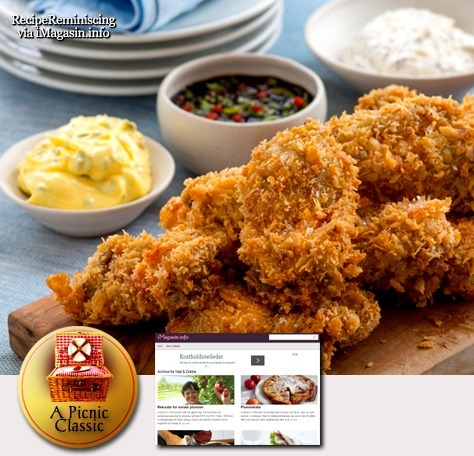 At home I like to cook modern food too and I love to watch food related reality tv shows and food history documents. 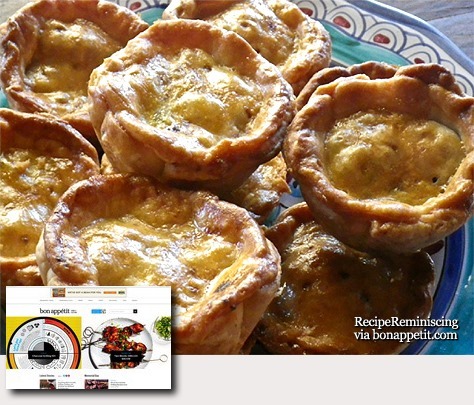 This is my virtual kitchen where I put my recipes and thoughts about medieval and renaissance food. I started Let Hem Boyle after a personal one year challenge “One year and Thousand Eggs“. 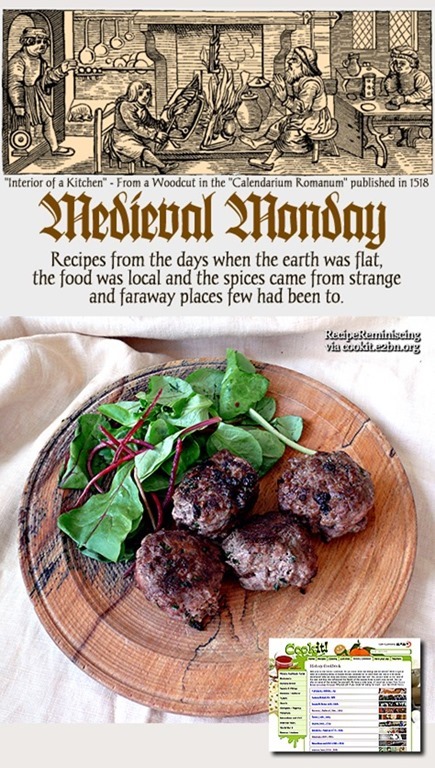 I hope that I manage to make medieval cooking look easy enough so those who have never tried to cook medieval food would be inspired to try. 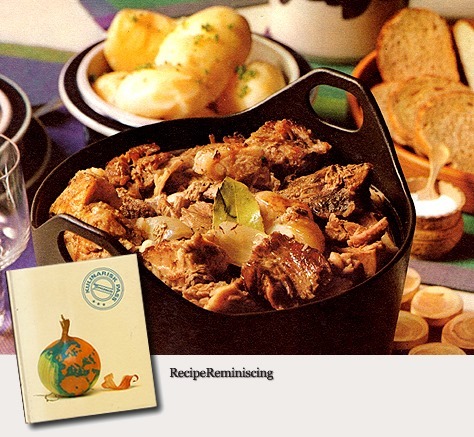 “Mutton in cabbage” is Norway’s undisputed national dish – voted by listeners of a popular radio program about 40 years ago. 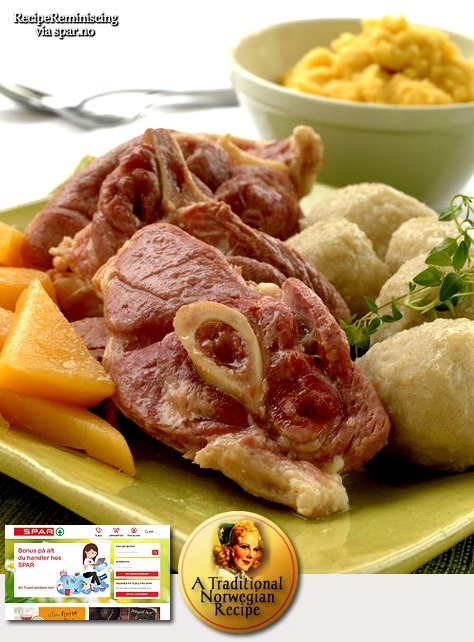 “Mutton in cabbage” is both homely and great party food, and many find the taste even better when reheated the day after it was first made. And one thing is certain: “Mutton in cabbage” is the best reason to gather friends for a harvest feast around the steaming pots and pans! "Mutton in Cabbage" is a traditional autumn dish in Norway, that was when the cabbage was harvested and mutton were fresh.